Club 1 Hotels is a members-only site which offers wholesale pricing on hotel rooms. For the past two months, Milelion readers have been able to sign up for a complimentary Club 1 Hotels membership (usual price: US$129/year). This offer has been extended again for November, and you can follow the instructions in the link below to get your free account. No credit card is required to sign up as your membership does not auto-renew. Sign ups through the links in this article generate an affiliate commission that supports the running of The Milelion. You just need to enter the code on the coupon section while checking out and the savings should be reflected. In last month’s post, I mentioned how I wanted to book a special trip for my parents to one of Aman’s 33 resorts, which are widely held to be among the best in the world. Well the only one in the region that wouldn’t bankrupt me was in Bali, but my parents didn’t feel like going there again. Instead, they wanted to go to Saigon (there’s an Aman in Hanoi, but not in Saigon). So I went to look at what the top properties in Saigon were, and there were two names that kept coming up. 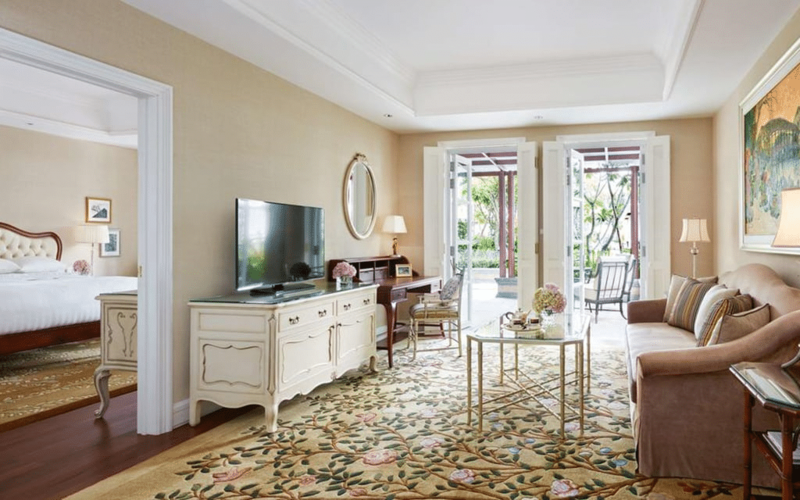 And the Park Hyatt Saigon. Now if you ask me, I prefer The Reverie. It just looks over-the-top awesome. But my mum took one look at the photos and hard passed. “Looks too bling”, she said. “Too in-your-face”. She might have a point- this hotel after all offers you the option of an airport pick-up in a Rolls Royce Phantom Dragon for S$466 each way. 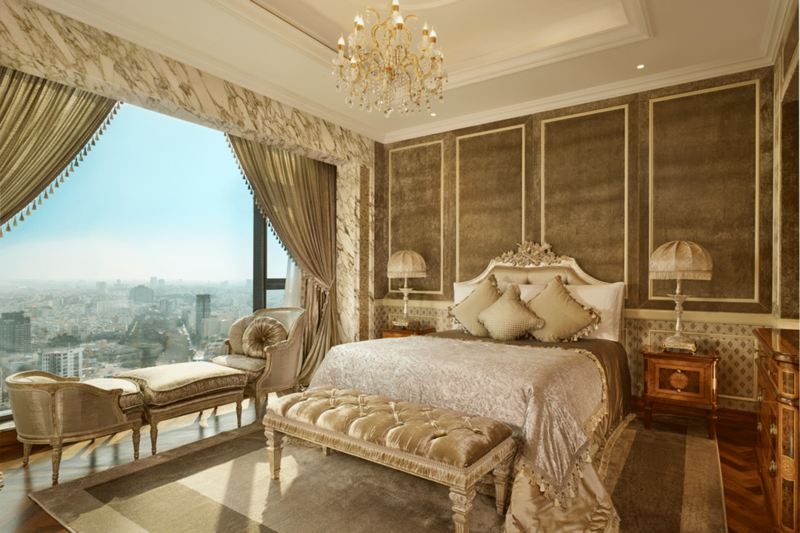 The more understated grandeur of the Park Hyatt appealed to her, so that’s what I went for. With a rate this cheap, I guess it’s only normal to be a bit suspicious. 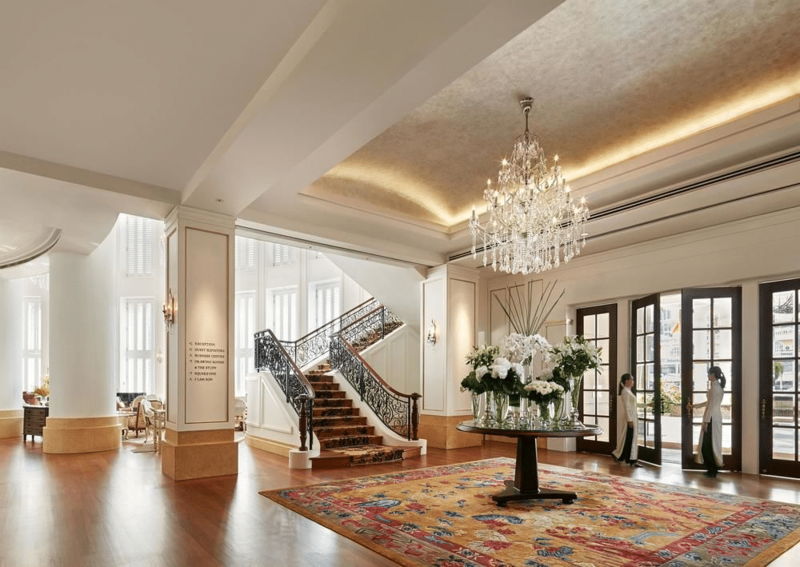 But I called up the Park Hyatt Saigon after booking and they confirmed they saw the reservation in their systems. FYI, you can’t file a BRG based on a Club 1 rate because these rates are considered members-only. 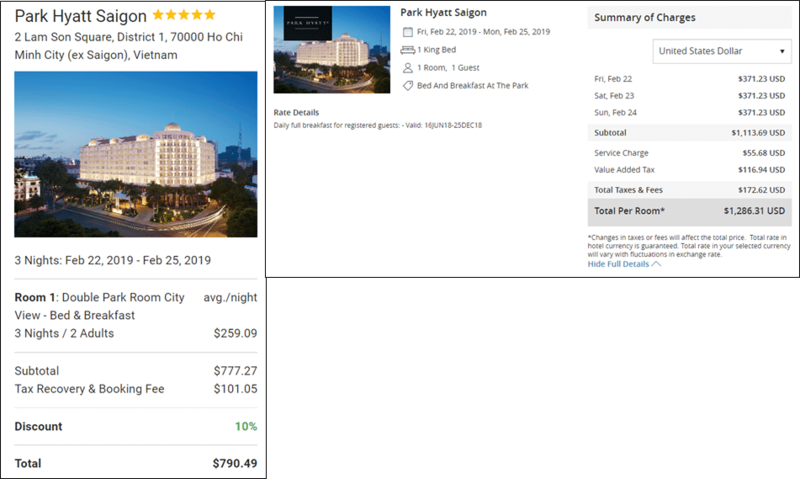 As I mentioned in my original Club 1 Hotels post, not every single hotel is going to give you an amazing deal like this. Sometimes you’ll find more modest 5-10% discounts off the official site. 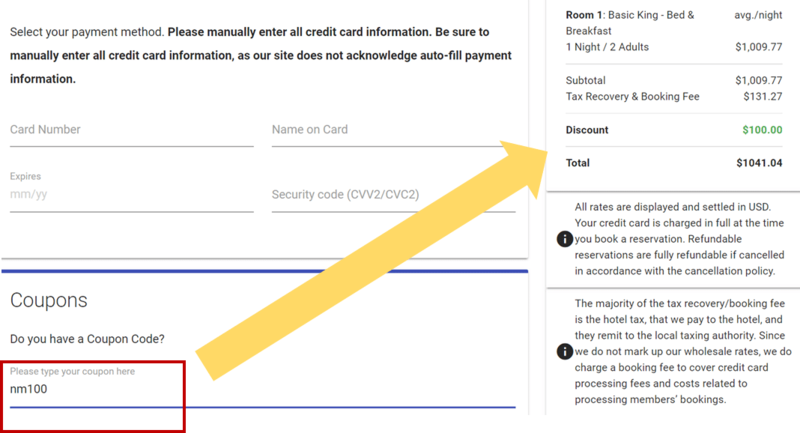 Sometimes the official site will be cheaper, in which case you’ll file a BRG claim with Club 1 to save anywhere between $10-25 a night off the competing rate. And sometimes you’ll strike the jackpot, like I did. So it doesn’t hurt to just sign up for a free account to allow you to search the member rates. Good hunting! I guess we can’t accumulate hotel loyalty stays by booking with them? Your mum made the right choice. I have been to both and Park Hyatt was way better.